Clear Fork got on the board at the 7 minute mark when Bianca Hoffer re-directed a long throw-in from Kaylin Helinski for the 1-0 lead. Clear Fork continued to dominate possession, but didn’t find the net again until Helinski scored off a corner kick from Bailey Romoser in the 24th minute. Helinski scored again in the 37th minute off a nice crossing pass from Leah Argenio. This seemed to spark the Lady Colts and loosen the Sandusky defense as Clear Fork scored 3 more times in the last 3 minutes of the first half. Helinksi had two of those goals and Morgan Galco added one goal. 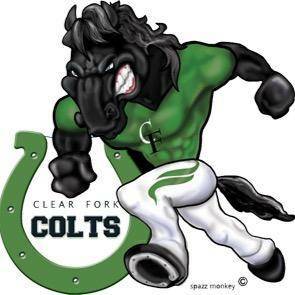 Clear Fork went to halftime with a 6-0 lead, with Helinski converting 4 of the 6 goals. The Lady Colts started the second half quickly with Helinksi getting her fifth goal of the night in the 46th minute. Ashley Black, Morgan Galco and MacKenzie Thorne rounded out the scoring for the 10-0 win. Galco and Carly McCue (2) provided the assists on the last three goals. Clear Fork took 27 shots on goal while limiting Sandusky to just two shots on goal. Kaylee Krausman and Jordan Beahr each had a save for Clear Fork. With the win, Clear Fork moves to 13-3-2 overall. The district semifinal game was originally set to be played at Clyde High School, but may be moved to a neutral site closer to Clear Fork and Ontario. That game will start at7 p.m., where it is going to be played.